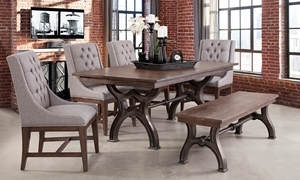 Ensure every dinner party is perfect with the stunning buffet from the Davidson dining collection. 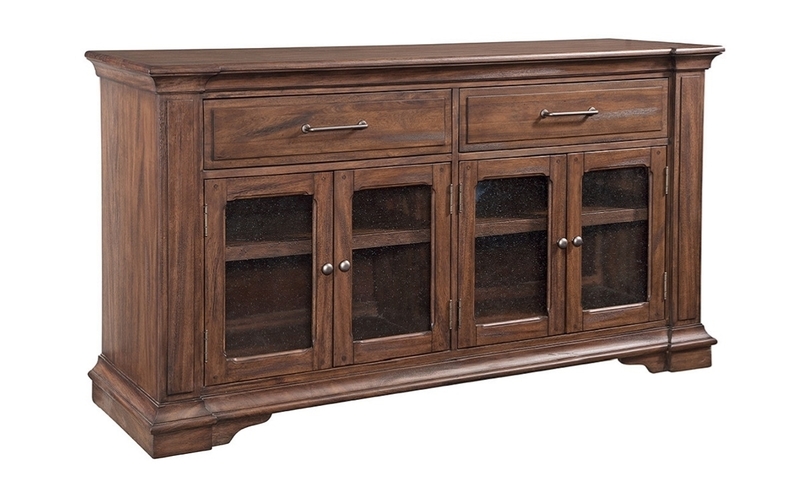 Traditional bracket feet and crown molding in a warm brown finish make this 68-inch server a timeless addition to any dining room. This sideboard's two full-extension drawers provide a great space to keep extra utensils on hand, while the glass-paneled cabinets below offer a special place to store dishes, curios and more.